Recently Simplifier released new features for the early FHIR adopters. Become a beta tester to get access to these features. One of these features is the ability to link your project with a GitHub repository. GitHub integration fetches your resources from a repository in GitHub and adds them to your Simplifier project. Sharing and rendering your resources online and keeping them up-to-date has never been simpler! Let’s assume you have a GitHub repository, that contains resources ready to upload to Simplifier. You can start the linking process by logging in to your account on Simplifier and create or select a project in your portal. 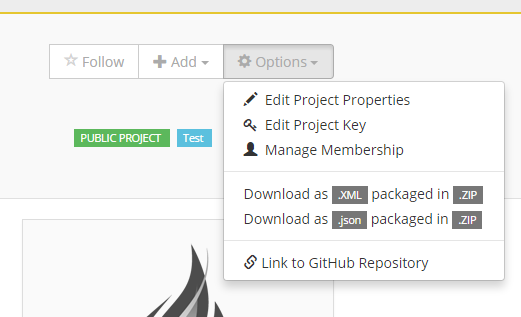 In your project page, go to Options and click ‘Link to GitHub Repository’. 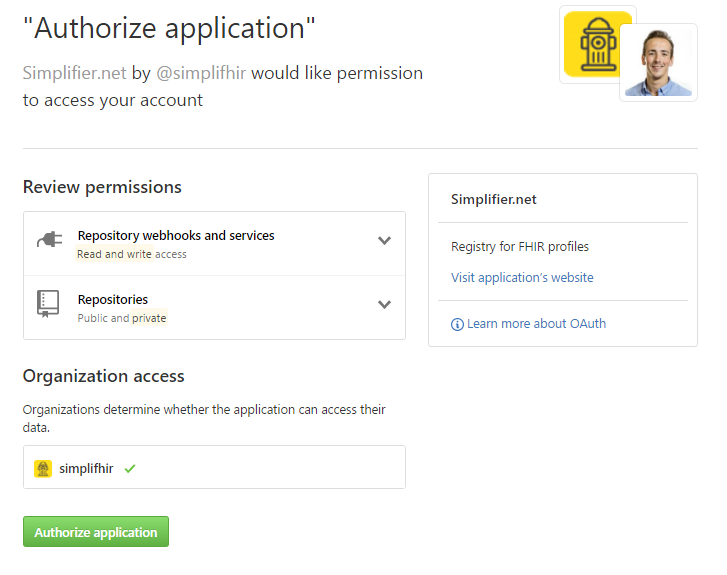 You will be redirected to the GitHub login or, when you are already logged in in GitHub, straight to the page where you will be asked by Github to authorize that Simplifier can access your repository. After you authorized Simplifier to your GitHub repository, you are redirected back to Simplifier where you will be asked to select which repository and which branch you want to link to your project. You can also configure how to deal with files that cannot be imported and whether to also remove resources from your project when they are removed from your repository. By clicking on the create button all the resources from the linked repository are instantly added to your project. At any later time, you can check the status of the link with Github and modify it if necessary by going to your project, options and clicking on ‘GitHub WebHook Status’. This brings you to a page where an overview of the uploaded files and current settings are given. That’s it! Your project is now linked to a GitHub repository. In a next blog, I will show how an implementation guide can be made using Simplifier. Feel free to give any feedback by using the feedback button located at the top of the page in Simplifier. This entry was posted in Background by Ardon Toonstra.